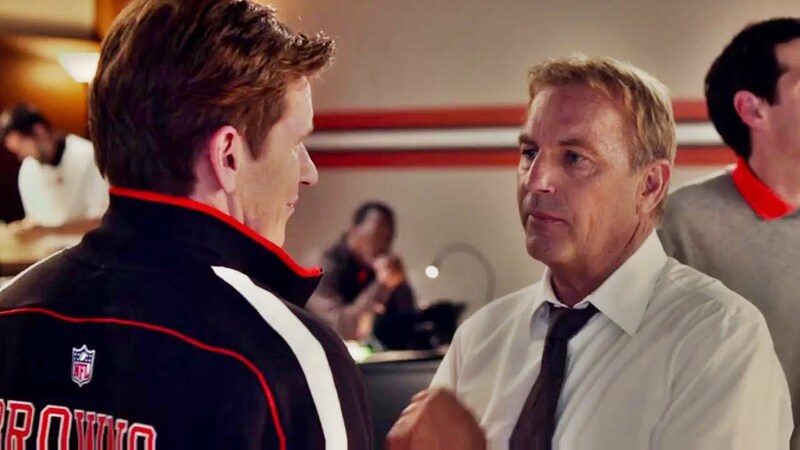 A sports business drama, Draft Day goes behind the scenes on the day NFL teams choose the next wave of talent. It's the morning of the 2014 National Football League draft. 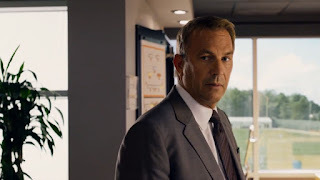 Sonny Weaver Jr. (Kevin Costner) is the General Manager of the Cleveland Browns, and has recently lost his father, a legendary and beloved former head coach. Sonny is also grappling with the news his girlfriend Ali Parker (Jennifer Garner), the team's salary cap expert, is unexpectedly pregnant. With the Browns picking seventh and expected to select either linebacker Vontae Mack (Chadwick Boseman) or running back Ray Jennings (Arian Foster), Sonny accepts a trade to move up to the number one pick, giving up many future prospects in return. The Browns are now in a position to draft star college quarterback Bo Callahan (Josh Pence), which pleases team owner Anthony Molina (Frank Langella). But Sonny has misgivings, and asks his scouts to delve deep into Callahan's background. With his every move questioned by prima donna coach Vince Penn (Denis Leary), Sonny's day will feature many more twists and turns as he strives to reshape the team. Directed by Ivan Reitman, Draft Day is a slick and glitzy look at the management side of professional sports. Undoubtedly constructed to portray NFL corporate life as a dynamic thrill ride, Sonny's day is probably an over-exaggeration of any sort of reality. But the film packs enough content to maintain strong interest for fans of sports business while completely sidestepping the NFL's hot button issues related to on-field concussions and off-field player perpetrated violence. The plot piles on the hot potatoes on Sonny's plate. Not only did his father just die, but Sonny is also reviled for having had the temerity to fire his own dad a few years earlier. Mom Barb (Ellen Burstyn) shows up at the worst possible moment on draft day, with an urn full of ashes to dispose of. Owner Molina is threatening to fire Sonny unless he delivers a good headline, while coach Penn is strutting around undermining his own General Manager. Even Sonny's assistant is a first-day-on-the-job kid caught in the maelstrom. And of course Ali is inconveniently pregnant, Sonny is preoccupied instead of thrilled, and their entire affair is the office's most open secret. At least no one brings up the 17 year age difference between Costner and Garner, nor Sonny's quite advanced age to tackle the rigours of first time fatherhood. Through it all he has to engineer high stakes trades as the clock ticks on. For a drama mostly built on over-the-phone negotiations with other GMs, Reitman does a fine job maintaining plenty of tense energy, deploying fluid split screens to present both sides of every conversation as Sonny weaves a path towards his objectives. Costner's performance is self contained and stoic, and Garner also adopts a rather cold stance in a male-dominated milieu. The rest of the characters populating the desks, offices and working the phones are barely defined beyond pithy summaries. The young college players at the centre of attention are also stock representations, Callahan the cocky quarterback, Mack the family man, and Jennings full of promise but with a shadow of scandal dimming his potential. Draft Day is all about wheeling and dealing under pressure, and picks about as many winners as losers.